I firmly believe that what you experience in the horror genre sticks with you the most when you're the youngest. You're a sponge, basically. I grew up on radio, I grew up on TV, and I grew up on some freakish books that not only made me want to turn my head and look behind me, but made me love the genre that much more. Sorry, R.L. Stine. I love you. 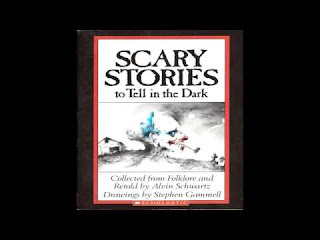 I'll always love Goosebumps, but holy cow did this book grab me at the tender age of 10 (I think that's how old I was). The joy and genius of this book by the Howe couple is that it merged the love for talking animals with a slight sense of comedy and a healthy dose of mystery a la Sherlock Holmes style. 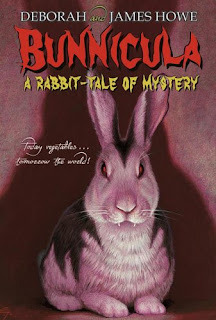 And then they followed this one up with Howliday Inn and The Celery Stalks at Midnight, plus a few other editions in the series I never had the pleasure to read (unfortunately). I loved it. The tension. The suspense. And then to have it unravel in a way that was so priceless to end up freaking out and then laughing over a scene you just read about a dried-up zucchini on the kitchen floor. I can't even begin to tout the absolution that is Ray Bradbury and some of the stories he's regaled, much like how Stephen King did his thing. Ray Bradbury was a different kind of horror, something even kids could get into, and they're so translatable that even movie adaptations became classics to behold, like his timeless entry: Something Wicked This Way Comes, a fierce tale about an evil carnival bringing about the wishes and dreams of a community, but at a dark purpose, and an even darker price. Chilling, really. And this particular scene of the film adaptation was also chilling. Check it out. Shocked? Yes, indeed. This originally was a children's book, and I adored it for its simplicity, goodness, and utter realism about some of the more grounded horrors of our reality and society. When you think about it, this truly was a horror novel -- just for kids. When talking about organizations doing unspeakable and horrific experiments on animals, we immediately get chills. And seeing some of those horrors from the eyes of a mouse can multiply that effect even more. 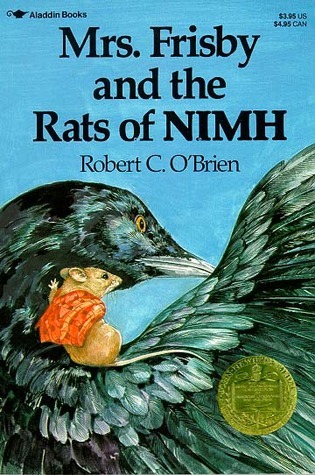 The idea of rats becoming intelligent is a beautiful twist in this horror story evolving into a drama of survival, and it certainly sculpted me into the novelist I am today. 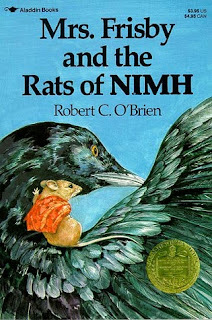 Especially after so much love, fantasy, and deepened horror themes injected into Don Bluth's animated adaptation, "The Secret of Nimh." I still to this day love that movie (saw it next to my wife about a week ago, actually). To this day, I'm still continually mesmerized by the Great Owl and Nicodemus, actually. I need not say anything more about this one. I'm sure many of you have heard of this. While Goosebumps made it easy for kids to read about horror, this freakish series of books somehow made it possible for even kids to read the stories locked away in these editions and be absolutely petrified without committing suicide, surprisingly. We're not kidding here: some of these stories were actually quite disturbing. Disney always did a great job translating horror for the masses without being, well, too scary. But just scary enough that it sticks with the person for a long, long time. The film adaptation of the iconic book The Watcher in the Woods, published back in 1976 by Florence Engel Randall equally had the scares about what's "out there in the woods watching" while conducting a seance (if you want to be scared in the woods, yeah, go ahead and do that! ), and cracked mirrors, backwards words on the window, and the name Karen repeated ominously, all echoed in my dark soul for years and years.